OM is not just a word coined in the language but a primordial sound that resonates in the entire cosmos. OM is the root of everything including the Vedas and other scriptures. That is why one should commence any yajna, charity or austerity with the utterance of OM. OM chanting is veritably beneficial for it purges mind of impurities and replenishes it with vibrancy of its divine reverberation. It calms the stressed out mind and leads towards inner tranquillity. 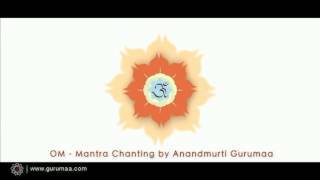 This video brings forth the meditative chanting of OM by revered master Anandmurti Gurumaa inviting one and all to join in and move inwards. It has been drawn from the guided meditation album titled Pranav.